As I write these words it’s been exactly one year since I first arrived in Thessaloniki. It has been an intense year with its natural ups and downs although in a very exceptional line of work. I have witnessed, seen and experienced a lot of sorrow, despair and tragedy while at the same time I have seen hope, love and kindness. It can be a tough environment sometimes and you may feel alone trying to live up to a Sisyphean task. But then it’s the gratitude of the people you are helping, their smiles, their hugs that makes the work worthwhile. It’s the never-ending energy and motivation of your fellow volunteers. It’s you who are reading this wherever you might be. Your uplifting messages, comments and support keep me going – thank you! This time I will tell you about the most long-standing participant in my programme. Back in May, Waseem joined as the second ever Robin shortly following his friend Hazem, who is now finally reunited with his brother in Germany. After receiving a rejection from Sweden and seeing all his Syrian friends relocated elsewhere in Europe, Waseem naturally went through a difficult time. Being apart from his family for years and having to watch everyone around you moving on is not an easy thing and it has undoubtedly taken its toll on Waseem’s well-being. All the more so, I am happy and proud to announce that Waseem is back on his track. 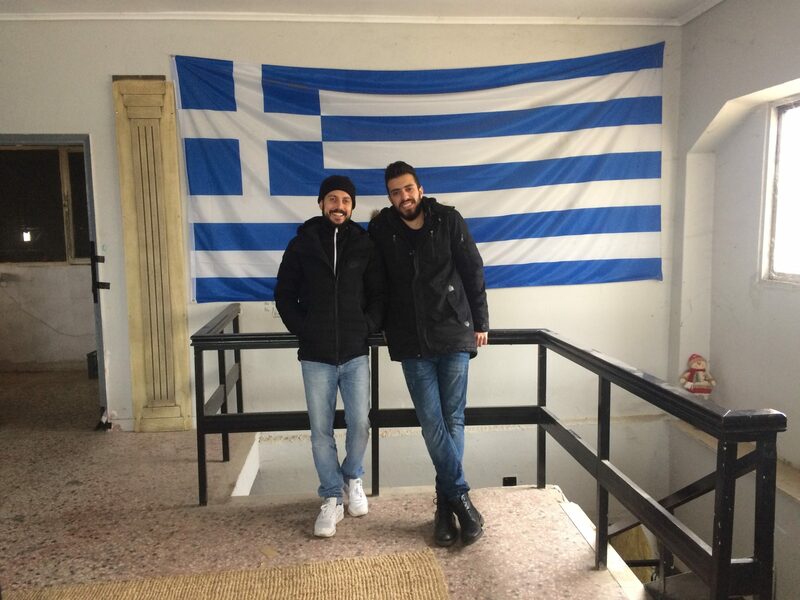 He successfully applied to the American College here in Thessaloniki and is now attending College twice a week. Furthermore, I was able to link him up with another NGO (IHA) where he acts as an interpreter and cultural mediator and even receives a small salary. The man has a busy time ahead and for that I am glad and wish him all the strength and power to manage it! Waseem getting ready for his future here in Greece. Before I finish I would like to disclose that the Pame project not only contains men; get to know the three women I support in my next Blog!